Hello and welcome back to Your YouTube. I'm sorry there was a break last week, it was thanks to TalkTalk and no internet connection! To say it was a frustrating week is putting it very lightly indeed! The video I have chosen this week comes from The DADventurer, whose video of his first ever tandem skydive had me hooked from beginning to end. I would love to do a skydive but I'm not sure that I have the balls. It looks amazing and Dave's reaction straight after the dive really made me giggle! On to the linky, please make sure you link up no more than two videos and comment on at least two others (if you have time to comment on more than that then that's great). 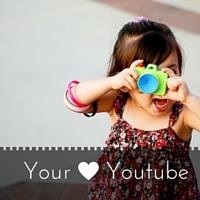 This linky only works if we do comment on each other's videos. This way we will all find new people to watch and grow our lovely little community. I watch every video that is linked up and look forward to seeing them. 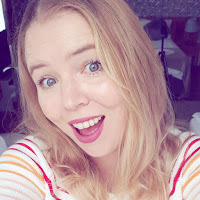 Yesterday I found out that I have been nominated in the Mumsnet Blog Awards in the vlogger category. I am so unbelievably chuffed and feel so happy that people nominated me. If you would like to vote for me (and I would love it if you did), then please follow this link. It would be incredible to make it through to the final three!